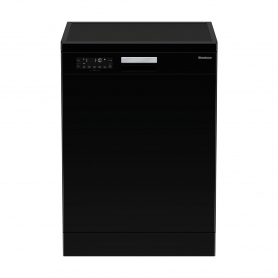 Exclusive to Euronics and Agent stores, this freestanding dishwasher from Blomberg offers a varied range of programmes, to give all of your utensils and dinnerware the clean they deserve. 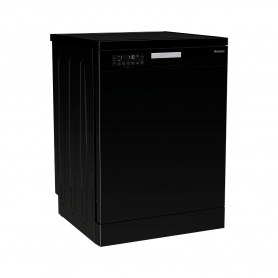 Available in black, this full-size dishwasher can hold up to 14 place settings in a single load. 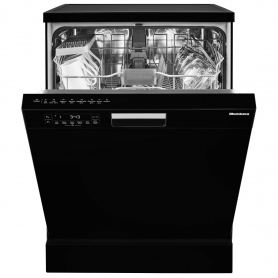 It is ideal for tackling a family-sized wash load, offering plenty of space to load dirty dinnerware. Adjustable baskets with foldable supports make it easy to fit everything inside. Get extra flexibility for bigger items like pots and pans, with folding plate and glass supports in both baskets. The baskets can be adjusted to three different heights - even when fully loaded - to alter the amount of space in the bottom basket. A counter balanced door means you can easily fill the machine with everything that needs washing. Combined with a simple digital display, washing the dishes couldn't be easier. A 24-hour time delay function even means you can choose a time that’s convenient for you. 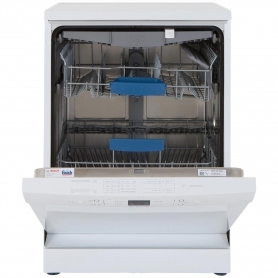 Once everything is clean, the Active Ventilation drying method will get things dry in no time. These great programmes are complimented by additional machine functions, giving you even more options. Super Gloss function dries your dishes better than ever and leaves them sparkling clean. The half load option is ideal for saving money when you’re doing smaller loads, while Rapid Clean cuts the washing time up to 70%. An A++ energy rating saves you up to 20% in energy consumption when compared to A-class models. It has a low water and energy consumption, meaning you can save money on utility bills. The wash and dry rating are both A, for a high-quality, all-in-one clean. The Optima Inverter Motor is both durable and energy efficient. It’s also whisper quiet, with a 46 dB noise level, making it a perfect choice for open plan kitchens. What’s more, it comes with a 10-year warranty for extra peace of mind. 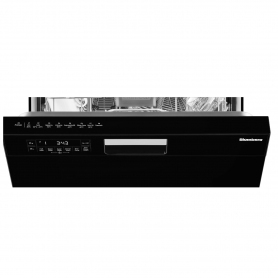 Blomberg Built-In and Free-Standing Products also carry a three-year parts and labour guarantee. 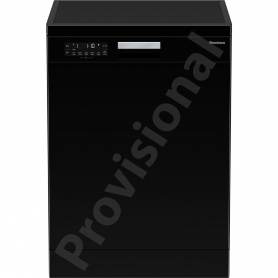 If you’re looking for a dishwasher that’s easy to use but packed with features, the LDF42240B could just be the one for you. Order yours today. A++ energy rating - saves you up to 20% in energy consumption when compared with A class models. Optima Inverter Motor - for a reliable, more energy efficient and quieter operation. It also comes with 10 year warranty, for extra piece of mind. Digital display showing time remaining and time delay. 24 hr. time delay - wash when it's convenient. Height adjustable basket to 3 different heights, even when fully loaded. Creates extra space for loading bigger plates in the bottom basket. 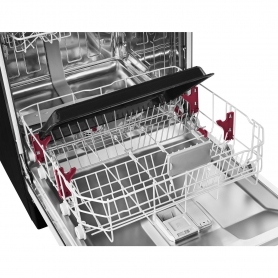 Folding plate and glass supports on both baskets - more flexibility in loading bigger items like pots and pans. Whisper quiet with 46 dB noise level - perfect for open plan kitchens. 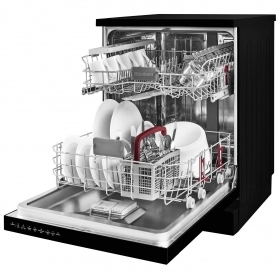 Super Gloss function - delivers better drying and glossier dishes Half load option - save money when doing less loads. Low 11 l water consumption - save money on utility bills Rapid Clean function - reduces the programme duration by up to 70%.